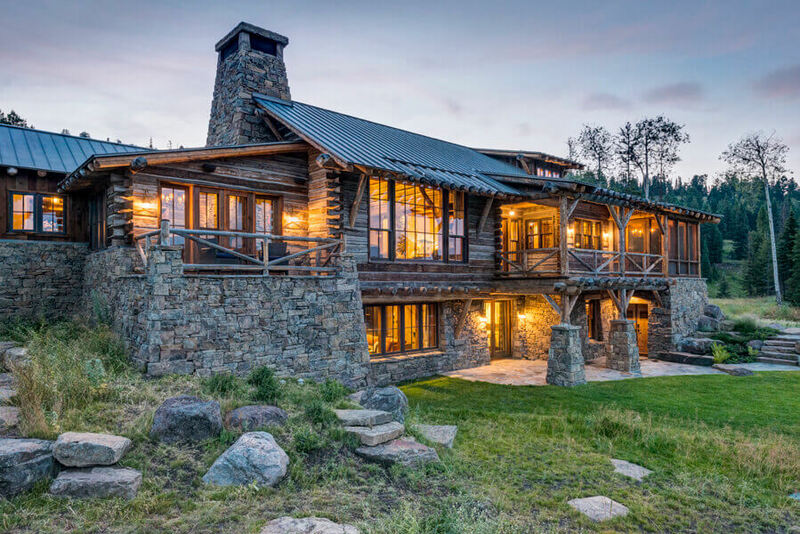 The perfect combination of style and floor plan, two hewn barns were joined by a stone connection near Yellowstone Park. Occasionally a client desires a level of involvement on their project—and in this case, the owner wanted to source his own hewn materials knowing the southeastern part of the United States had historic oak hewn barns available. 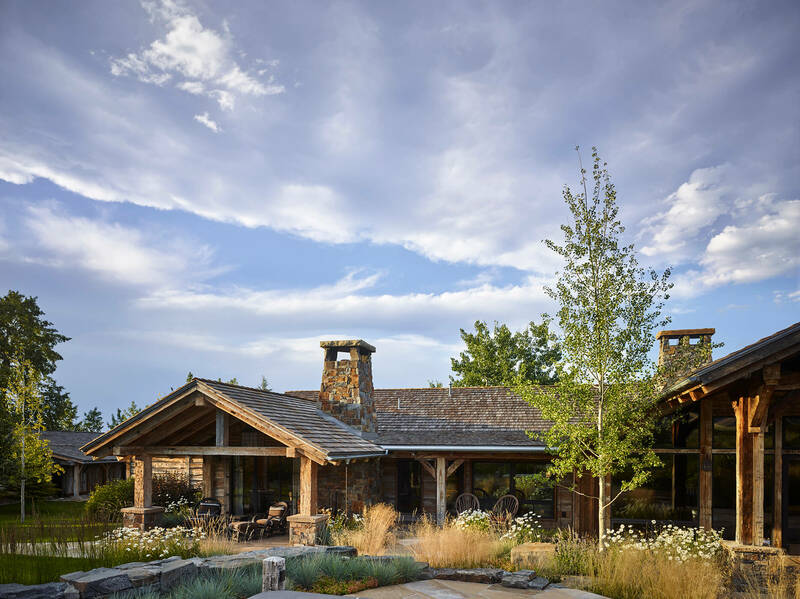 Collaborating for the perfect combination of style and floor plan, arrangements were made to ship the barns to his property near Yellowstone Park. The two barns were joined by a stone connection that separated the main living areas from the master suite.